Folks who come out for the Bike Fest often do not know how much work is done by Texas Parks and Wildlife (and specifically the Big Bend Ranch State Park) to make mountain biking in West Texas a going concern. Present and former staff including Barett Durst ( former Superintendent) and Amber Harrison (Trails Coordinator) as well as the many fabulous members of the State Park Crew are excellent partners in great mountainbiking adventures. Over the past five years they have worked assiduously to develop and improve trails in BBRSP, and to make those trails more accessible to users from far and wide. Here are just a few shots of some of the folks doing some of that terrific work from last year. The bulk of the rides at the Bike Fest are led and swept by the Texas Park and Wildlife crew. 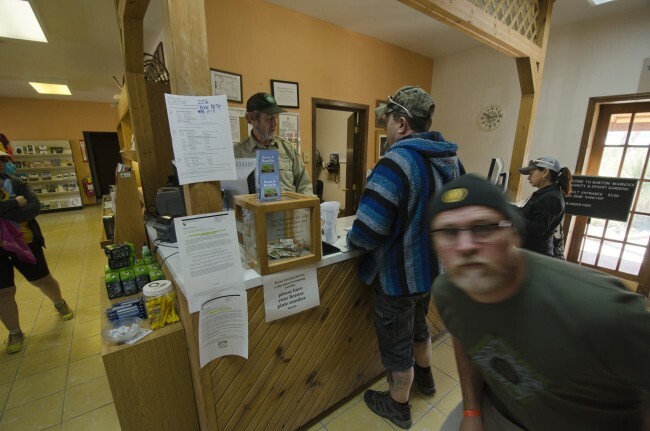 You might be surprised how many mountainbikers there are on the state payroll! But there is SO MUCH more work that is involved in making the Bike Fest a success; and most of that is plain old hard labor. 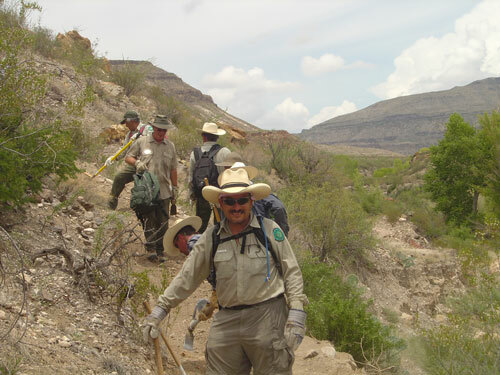 Dan Sholly, Deputy Director of Texas State Parks leads from the middle in this shot, with another excellent crew out maintaining trails and getting them ready for Bike Fest ’13. 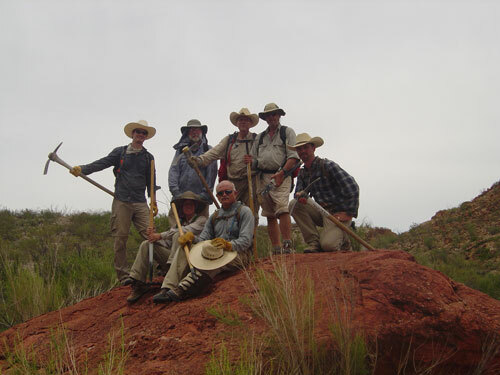 Just another day for the hard workin’ crew of Rangers at Big Bend Ranch State Park. Pick axes, shovels and camelbacks… a recipe for success for Texas Mountainbiking! 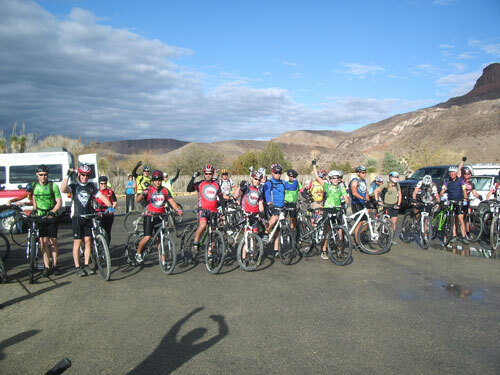 Big Bend Ranch State Park, local staff, keeping up with the Bike Fest! Visit the Big Bend Ranch State Park website for more information and links to available publications!